THE GLORIOUS SAGA OF THE 14TH GEMINA MARTIA VICTRIX LEGION, THE MOST CELEBRATED LEGION OF THE EARLY ROMAN EMPIRE. 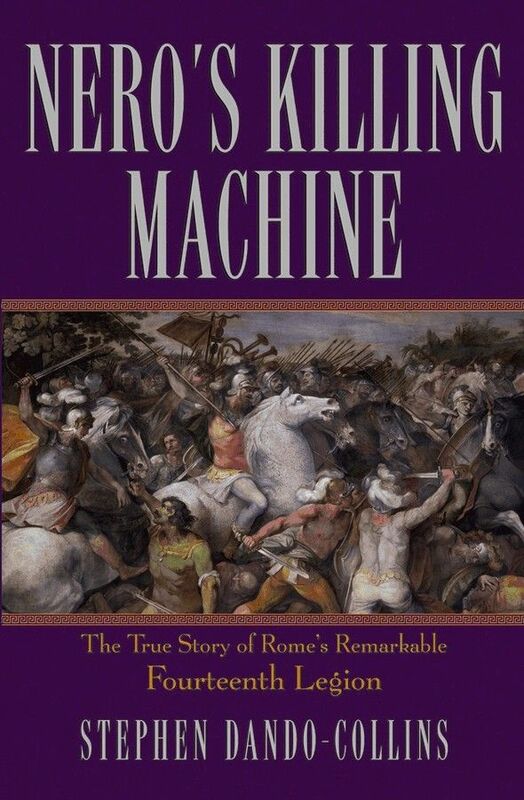 The second in his unique and internationally successful series of books on individual Roman imperial legions, Dando-Collins tells the true story of the 14th GMV. A veritable killing machine in its heyday, this legion was named by the emperor Nero as his 'most valuable troops,' an award given to no other legion in Roman history. In the late Republic this unit was wiped out whilst fighting for Julius Caesar. For decades after, the men serving in the 14th struggled to regain their lost status, battling their way back to glory in the invasion of Britain, and two decades later making a legendary stand against British war queen Boudicca and her revolting Britons. Vastly outnumbered, the men of the legion were determined to either conquer or go down fighting. It reads like a novel, yet it's all true. Check out the other Dando-Collins legion sagas on this site: Caesar's Legion, Cleopatra's Kidnappers, and Mark Antony's Heroes. For detailed backgrounds on all Rome's imperial legions, see the breakthrough Dando-Collins work Legions of Rome, (now in English, Spanish and Russian editions).